An iconic architectural aspect of European skylines is the chimney pots which adorn the rooftops of houses and buildings. 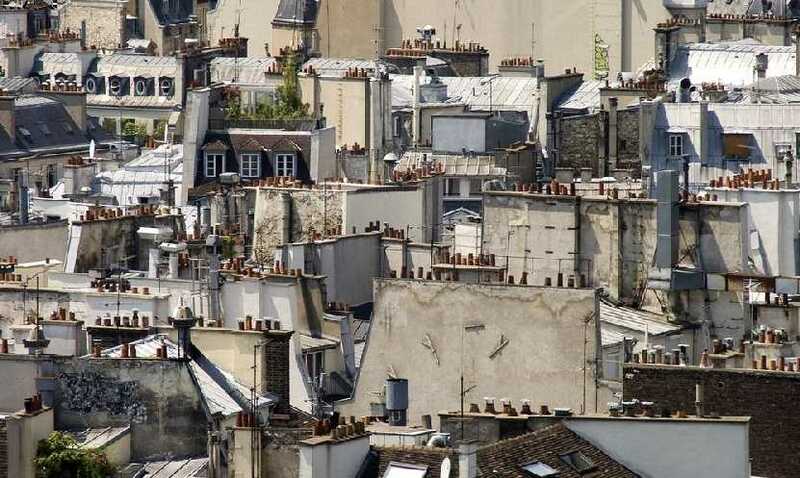 In Paris, in particular, they occur in unusually large groupings on most buildings. Chimneys were first used in Europe in the 13th century and perhaps prior and previous to that, homes were heated by open fires set on a clay or brick surface in the middle of houses. Meals were cooked over the fires and the houses were warmed albeit in a highly inefficient manner. Smoke from fires would fill the houses and only escape through a purpose made hole in the roof or in a wall. It is not hard to imagine how unhealthy and dirty it must have been. Attempts to manage air pollution in Paris by introducing a ban on the burning of wood have failed. In a graphic demonstration of self-interest, one of the more vocal lobbying groups which campaigned against a proposal in 2015 to introduce such a ban was the city’s chimney sweeps.